Meet Me at the InterContinental ! Flight announcements were in Spanish and English and we did the usual preflight check of seat belts. Emergency procedures were also given in both languages. After take-off we had seat maps and had to go through the cabin filling in the passengers names; from that point on they were always called by their name. 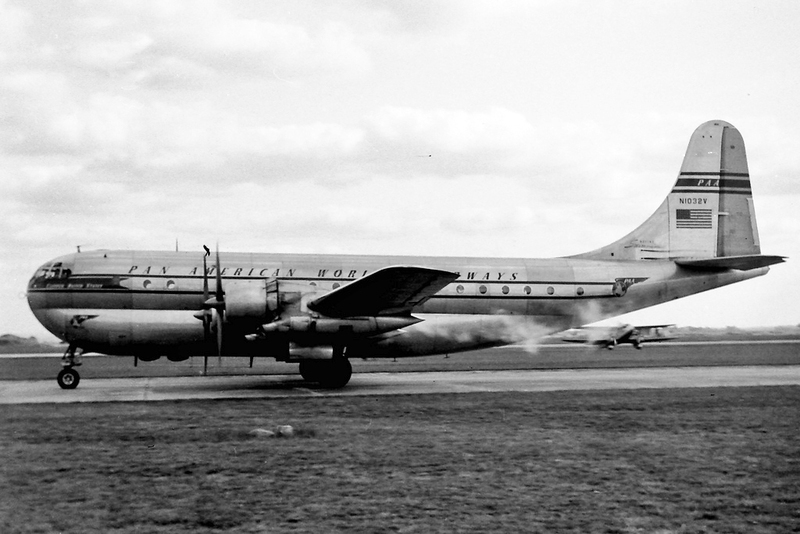 We flew Convair 240’s and DC-4s with only 40 seats so it wasn’t difficult. There were no two classes of service on one plane. One plane would carry First Class passengers and another plane would carry Coach passengers. First Class passengers received a meal and Coach passengers received three cookies, orange juice and coffee. Most of our flights were overnight flights. There were no tray tables in those days so we passed out a pillow to each passenger and set the tray on their pillow. The pillows helped balance the tray. The galley had a thermos container of coffee and three or four round thermos containers which each held six small dishes with warm food that was supposed to stay warm for eight to ten hours. We had a thermos of water and a hot pot with which to make tea or warm a baby’s bottle. Before each flight we had to count the silver! I remember being one spoon short from a passenger and having to go back and check the floor for it. I realized it was probably in her purse as a souvenir, so I forgot about it. I never searched for silver again because it was so embarrassing! One of my trips was a deadhead with a crew to Nassau to pick up a group and bring them back to Miami. It was on a DC-3 which I had never flown before. My one and only DC-3 trip. One of the passengers was so heavy his seat belt didn’t fit around him. I knew the logical place for the extension was in the rack above the seats (our planes didn’t have luggage bins) but there wasn’t one to be found. I checked all the drawers without any luck. I told the Captain my predicament and he just said “Tell him to hang on tight” which is what I did. Thank God there was no heavy storm and it was a smooth ride. Can you imagine telling a passenger to hang on tight in this day and age? In the meantime we changed houses and moved to Miami Springs. One night our next door neighbor knocked on the door and asked us if we knew the man who was looking in our window! Wow, did that get our attention! We lost a roommate who moved closer to her boyfriend, which left me and Judy. There was another group of stewardesses who were losing two roommates, so Judy and I moved in with them. When the last one left, it was Judy, Doris Ayers (who would become one of my best friends; I was Maid of Honor at her wedding) and myself. Judy and I, of course were best friends. We had many talks together, walking at night. One time the next door neighbor came by when it was really hot and I had a skimpy sun suit on. His wife was seven months pregnant. I was home alone and learned all about being chased around a table trying to get away from a kook. I just kept talking about his wife, and thank God, he finally left. 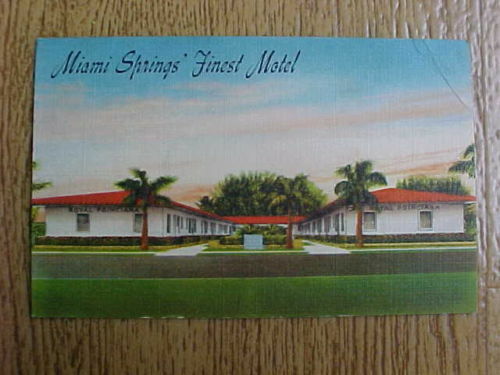 There were a lot of parties in Miami in those days. Down the line they were called debriefing parties. There were occasional parties the night before flights, probably because of the desolate places that were our layovers. It was a miracle the pilots could fly the next morning, but they always did and splendidly. Of course, the pilots in those days were ex Bush pilots or Army, Navy or Air Force pilots. The new Boeing Stratocruiser made its debut on line with First Class passengers. What a plane it was! Everything was large, the ladies and mens room, and the galley, which was in the tail and whipped around like crazy in a storm. 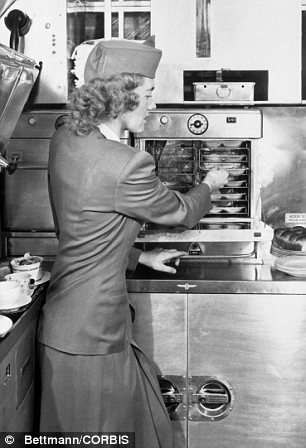 The galley had electric ovens and in the morning the trick was to keep the scrambled eggs from turning green. 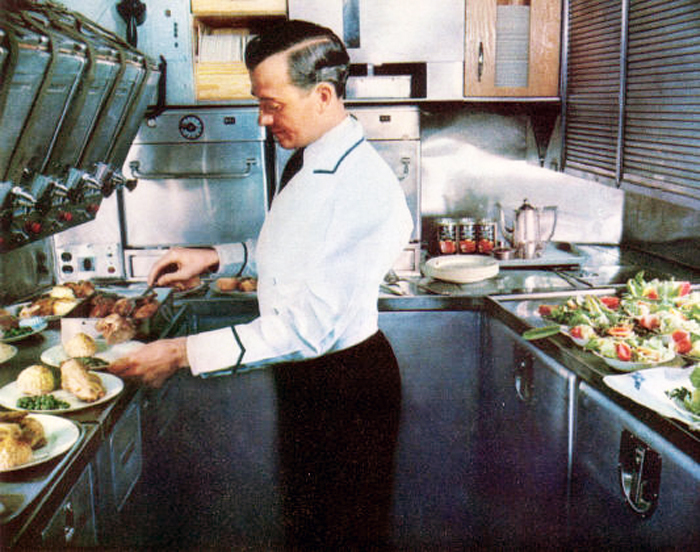 A Pan American steward prepares gourmet meals in the large Stainless-steel B-377 Stratocruiser. 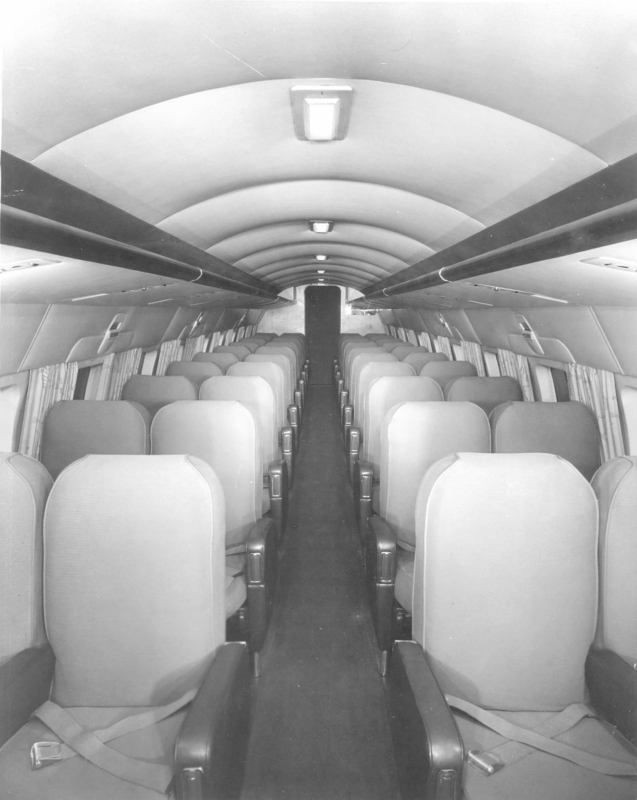 The galley included electric ovens and was located behind the passenger cabin on the upper deck. Heck we had “Green Eggs and Ham” before Dr. Seuss wrote his book. The plane held 60 passengers and had berths that pulled down and sleeperette seats. It also had a compartment in front with four berths that could be made into a private room. Many celebrities bought the front compartment, but I never had any on board. No, those aren’t “superbins.” The B-377 Stratocruiser offered passengers complete comfort with pull-down sleeping berths. Best of all, it had a downstairs lounge with a bar. I had my picture taken there. Eventually Pan Am started selling the seats in the lounge. Pity. It was a great plane for both crew and passengers. I flew the first Stratocruiser into Buenos Aires and upon our arrival there was a big ceremony with government officials. They gave us gifts, including a scarf, with a Pan Am logo in the middle. I had it framed, and it hangs in my office, over my desk, to this day. I loved flying to wonderful South America. The crew members were great – especially the Latin pursers. They were great dancers! To read Part III, Dreams to Dengue click here! If you haven’t read Part I Blue Skies Beckon click here! 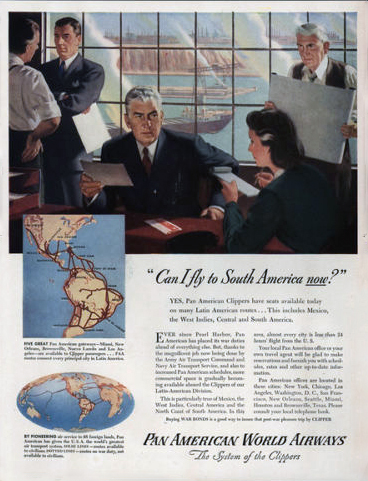 Clipper Crew Note: The picture Lynn references of her taken in the lounge of the Boeing Stratocruiser was a promotional Pan Am picture. As of print time we are still working to obtain a copy of this photo. She and her roommate were called one day to come in and do publicity photos for the plane. Well, naturally they assumed the company wanted them to be in uniform, so they donned their uniforms. When they got there the office said “Oh we forgot to tell you not to wear uniforms wear street clothes” and the office proceeded to get clothes from the secretaries and told the girls to put on the secretaries’ clothes. 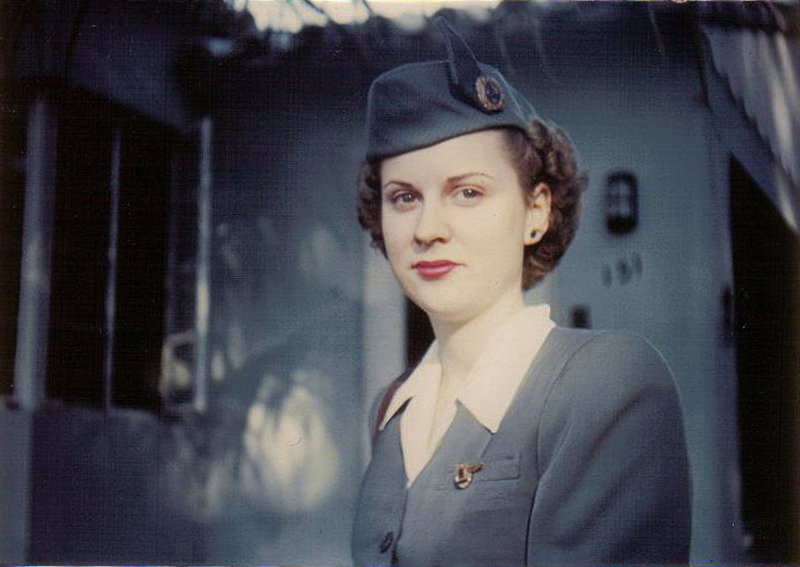 Lynn said “there I was in the upstairs of the Boeing Stratocruiser taking off my uniform and putting on the secretary’s clothes. I always wondered what was she wearing then?” Lynn was not fond of the picture because the suit was black and just hung too big on her. Years later she was in an airport book shop and saw a book on the Boeing Stratocruiser and said to the bookseller “I bet my picture is in your book”, and sure enough there it was. Clipper Crew is still web surfing to locate it. In Belem and the movie house blaring across the street. I watched ten little mice hold each other’s tail and dance in a circle across The floor of my bedroom in the Grande Htel in Belem. What memories! I love reading Lynn’s stories! Such romance and elegance! I loved my time with Pan Am and 747’s but I’d give anything to go back in time and fly the Stratocruiser! 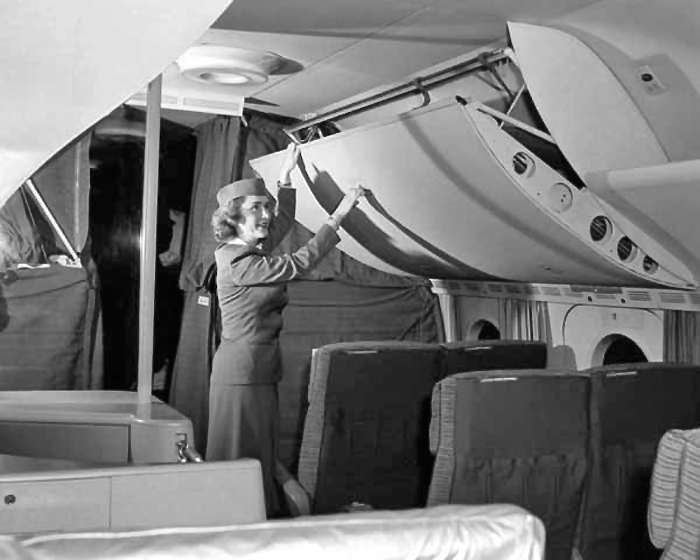 We are dedicated to preserving and celebrating the history of Pan Am’s cabin crews 1928-1991. All rights reserved.